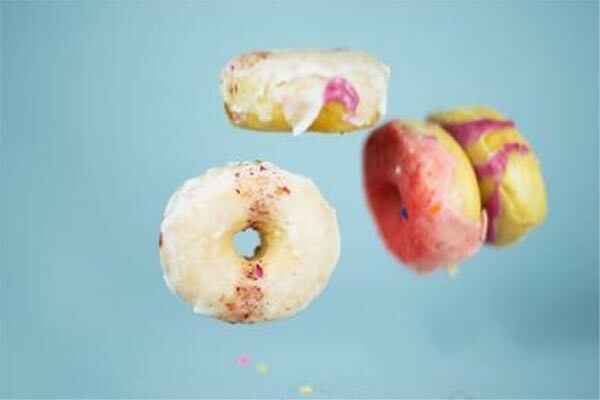 Did the photo of donuts make you immediately salivate? Maybe it’s not sweets that do it for you, but some salty chips. Here are some of the reasons behind why we get cravings and how to beat the urge. There is a myth that when we crave certain foods it means your low in the vitamins or minerals that your body gets from those foods. For example if you crave meat then it means you’re low in vitamin B12. Let’s just say, the proof isn’t in the pudding. Women tend to gravitate towards sweets (chocoholic anyone?) and men are more inclined to crave savory foods. This is partly due to cultural norms but it doesn’t mean that if you’re a woman you’ll never desire a big slab of ribs. Our cravings are usually derived from emotional stress and the food choices are your preference. You’ll notice you probably have more cravings after a bad day. The problem isn’t wanting the food but justifying these poorer food choices because they provide us comfort. Ultimately eating poorly in response to our stress is not the solution to managing our stress. If we didn’t eat a balanced, nutritious meal it can cause unstable blood sugar which encourages those pesky cravings. Focus on eating a balance of protein, fat and carbohydrates at each meal and snack. Keep the sugar and salt low, the fat heathy and the fiber prevalent. Also, have you drank enough water today? It’s not crazy that the foods you seem to crave most are the worst for you. They are comprised of the trifecta – sugar, fat and salt. It sends our brains into reward overdrive. A donut is fatty and sugary. A chip is fatty and salty. Pineapple ham pizza? All three. When we eat, we release of a hormone called dopamine. Dopamine is a feel good hormone. When dopamine drops we miss that happy feeling. Before you realize it you’re reaching for the candy bar again to get that feeling back. It’s worse if you’re eating sugary foods which cause your blood sugar to spike and drop rapidly encouraging you to reach for sugary foods that’ll spike your blood sugar back up. And the cycle repeats. Beat the cravings before they start. Take care of yourself. Physical activity has been proven to combat stress. Have you gotten your activity minutes in this month yet? It’s not a good solution to never eat the foods you crave. Restricting yourself often leads to binging. Instead be mindful of how much you’re eating. Don’t turn snacks or treats into a meal. You can also make it a healthier treat. Craving that salty, buttery popcorn? Use unsalted butter, portion it out and savor it. Pica is a psychological eating disorder in which people crave non–nutritive non-food items. People with this disorder crave substances such as ice, clay, dirt, or even chalk, soap and paint. This is a dangerous mental disorder and needs to be addressed by a psychiatrist. It can occur in pregnant women however don’t confuse Pica with pregnancy cravings which are a normal response to increased hormones. Wellness Participants – do you have questions about nutrition? 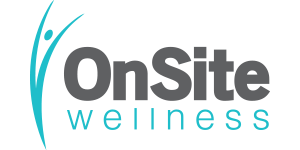 Ask your Wellness Account Representative to connect with OnSite’s Registered Dietitian Emily.